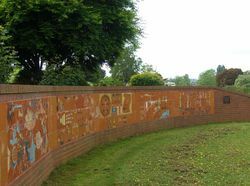 The Federation Wall commemorates the Centenary of Federation in 2001. 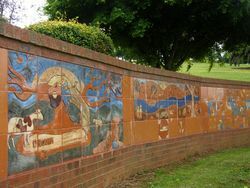 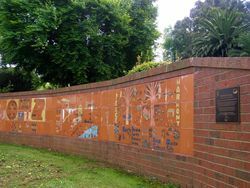 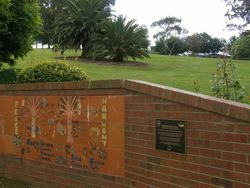 The tiles for the wall were produced by students of the Drouin area as West Gippsland Art Group and local Koorie children. 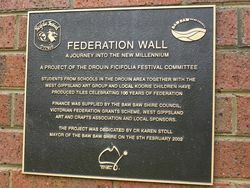 FINANCED WAS SUPPLIED BY THE BAW BAW SHIRE COUNCIL, VICTORIAN FEDERATION GRANTS SCHEME, WEST GIPPSLAND ARTS AND CRAFTS ASSOCIATION AND LOCAL SPONSORS.